Somalia: Ammey, Gass Reignite Clan War In Sool To Create A Tactical Diversion. 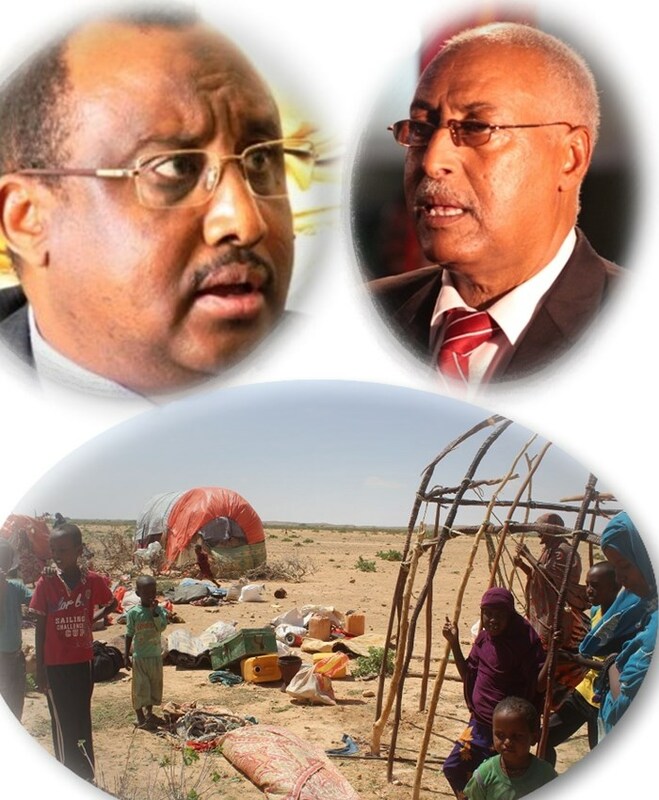 According To A Report Published Today By Caasimada.net – The No.1 Somali-Owned Website On The Internet, The Two Top Leaders Of The Puntland Federal State Of Somalia, President Abdiweli Mohamed Gass And His Vice President, Abdihkeem Ammey, Are Directly Responsible For The Re-kindled War Between Two Prominent Tribes In South Sool Of Somaliland. The Report Accuses The Two Leaders Of Trying To Create A Tactical Diversion In Order To Refresh Their Armed Offensive Against Somaliland Forces At The Tukkaraq Front. Their Plan Is, The Report Said, To Draw The Somaliland Forces Out Of Their Bunkers At The Front So To Separate The Warring Clans. Elders In The Area, Caasimada Says, Confirmed the Active Involvement Of The Two Top Leaders Of Puntland State Which Had Always Claimed Jurisdiction Over The Area On Merit Of Clan Lineage. Unconfirmed, but related Reports, Stated that Assassins Sent Directly From Garowe, Shot Down A Man At The Dhumey Village in Order To Force Clans To Take Up Arms Against Each Other Again – As Is The Case With Revenge Killings. As Puntland Leaders Have Dismally Failed To Amass Overwhelming Forces To Overpower The More Disciplined, Better Trained, Better Equipped Somaliland Forces Using Sheer Numbers, the leaders, the report states, Vowed the Recreate Skirmishes Among Dhulbahante Clans which will, Eventually, Spread to Urban Centres such as the fast-Developing, Populated Regional Capital, Las Anod. The Caasimada Report revealed that VP Ammey, o his last visit to the Federal Somalia capital, Mogadishu, met with Elders hailing from the Sool and Buuhoodle regions of whom he asked support. Instead, The Elders Asked Him To Stop Canvassing for Human and Material Support from Outlying Areas on False Pretences since the action will not only Drain Nomadic Areas of ts very Productive Age-Brackets but that, also, his administration was never able to meet even decent living costs of Drafted Youth. Mr Gass and Mr Ammey have to find a way out of a political predicament that will certainly boot them Out Of Office come December to make an extension of term possible. On the other hand, on a related Development but not Included in The Caasimada Report, Somaliland Authorities, In Conjunction With Area Elders And Government Officials, Have Succeeded To Quell The Mounting, Refueled Costly Confrontation. A Peace Deal Struck Between the Two Clans in 2016 saw the two sides re-mingling and marrying from one another Reviving Traditional Kinship Again.